"We worked with Yellowback on a complex project to produce a report to the World Bank, under strict deadline and with a team in five countries and three time zones. 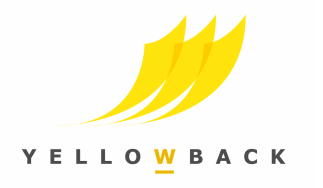 Yellowback guided the editing and production phase of the report, inherently improving the quality of the output immensely. Their experience and knowledge, as well as attention to detail and close teamwork, made the process seamless and natural." "Yellowback founder and editor Maddy Hatfield has always impressed me with her exceptional enthusiasm and attention to detail. She fully dedicates herself to every activity/project in which she becomes involved (e.g. copy-editing, website initiatives, a series of guides for the academic research community, contributing to strategic marketing plans) in a most professional manner. She is extremely efficient, supportive, knowledgeable and reasonable. These strengths would make Maddy a real asset to any project, team or company in the future." - Rhiannon Rees, John Wiley & Sons Ltd.
"Yellowback's Maddy Hatfield is an outstanding editor and proofreader, and a pleasure to work with. She fully engages with what writers are trying to convey, and uses her editing skills to draw this out as effectively as possible. Maddy has a meticulous eye for detail, alongside an ability to understand a text’s wider meaning and the readerships for whom it is intended. She also communicates very effectively with both authors and publishers. I worked closely with Maddy on an academic journal for three years, and would recommend her without hesitation to anyone who needs an editor or proofreader." "Writing, especially academic writing, is always a collaborative endeavour. Close and supportive relationships are essential to all stages of academic work, from generating ideas and developing research, to producing the best possible text. The collective effort in the earlier stages of this process are increasingly celebrated, but the essential provision of editorial support and proofreading remain largely unrecognised. I am very happy to sing the praises of Yellowback's Maddy Hatfield! She is an excellent editor and a valued collaborator." "We've worked with Yellowback on proofreading a range of titles as eclectic as our list: cookery, literary fiction, memoir. What's key to us is a system of proofing that's efficient in terms of time spent and accurate in terms of the text. Yellowback helps us achieve both, through a streamlined, simple and editor-friendly process that cuts out waste and the delays inevitable with hard copies - while at the same time not compromising on what we still maintain are the principles of publishing; namely, helping the author deliver the best possible book to the reader." "I was extremely happy with the proofreading of my debut collection of short stories. Yellowback’s careful attention to detail and surprisingly fast editing service was fantastic. Highly recommended!" "Yellowback editor Maddy Hatfield combines an incredible eye for editorial detail and content with a sophisticated grasp of the academic context within which specific pieces of work are produced. This particular blend of editorial skill and academic awareness are, in my experience, uncommon and invaluable."